Tapper went on to say there is heavy turnout across the country, stressing the R for effect. The whole thing started when CNN reported that Utah officials are experiencing voter issues in a specific county. Trump has alleged throughout the election that the system is rigged, and asked his supporters to pay close attention at the polls to avoid irregularities. That has drawn criticisms that he is undermining voters’ faith in American democracy. 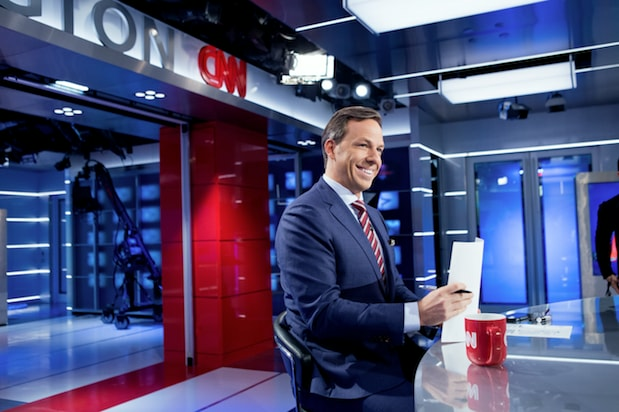 Wolf Blitzer, Dana Bash and Anderson Cooper will join Tapper to anchor CNN’s “Election Night in America 2016” coverage from the Election Center in the network’s Washington Bureau. If history repeats itself, this won’t be the last we hear from Trump on Twitter before the results roll in.